The Law Office of Alan M. Shpigel was established in 1980. 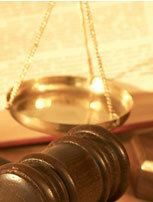 The practice is focused exclusively on personal injury law. Mr. Shpigel takes a personal and hands-on approach for each and every case. Mr. Shpigel is licensed to litigate cases in Pennsylvania and New Jersey and all related Federal courts.